These Barrel Backs are particularly nice due to the high back, which makes them very comfortable. 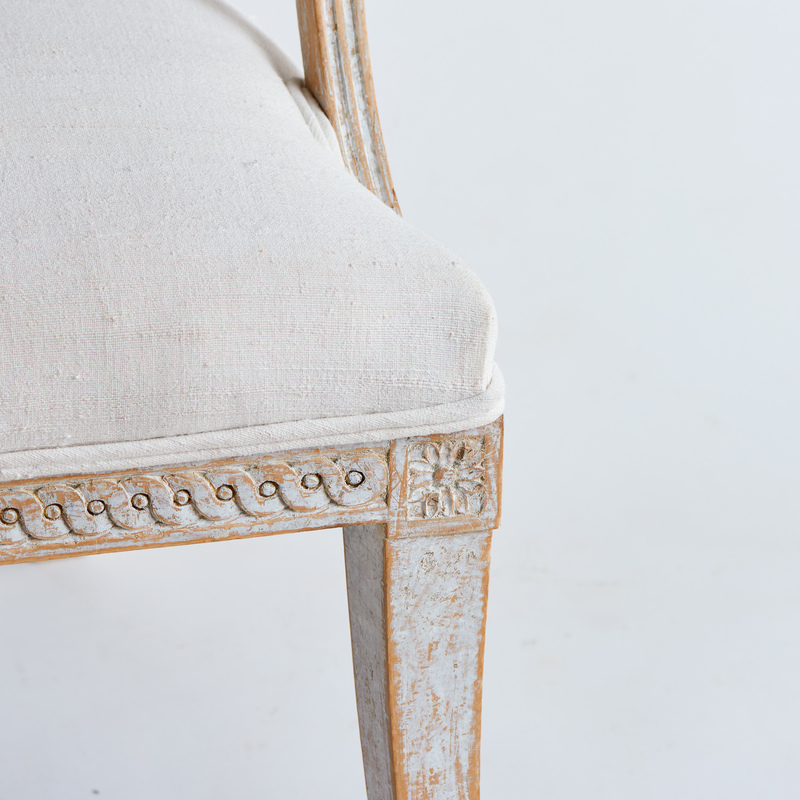 The apron has circular carvings typical of the Gustavian Period. 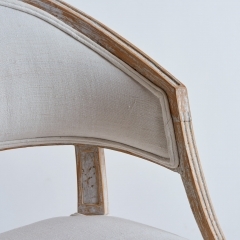 The legs are gracefully curved, both front and back, ending with rosettes at the top. 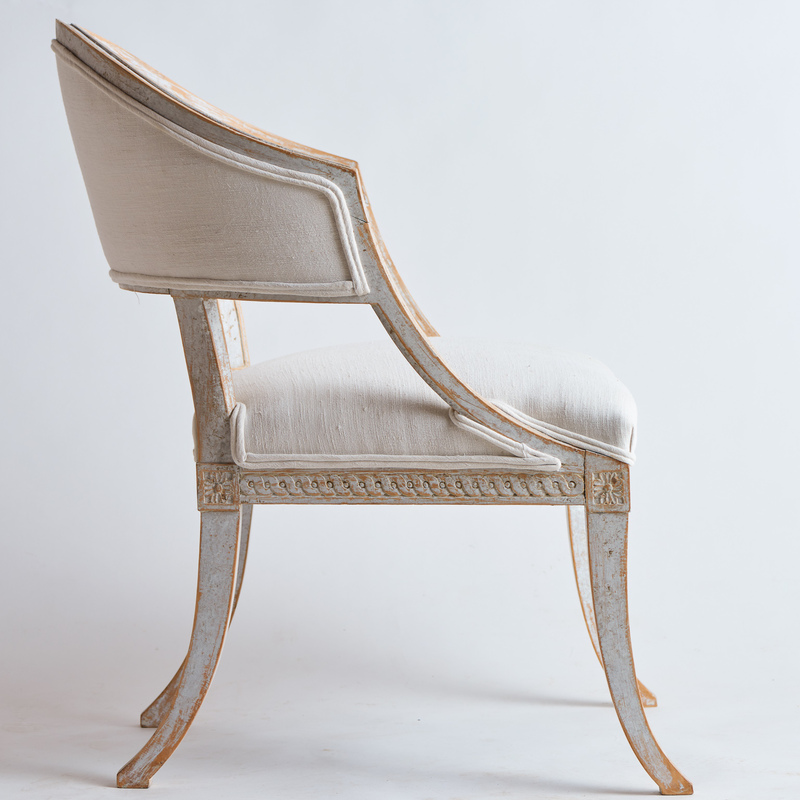 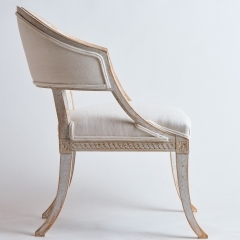 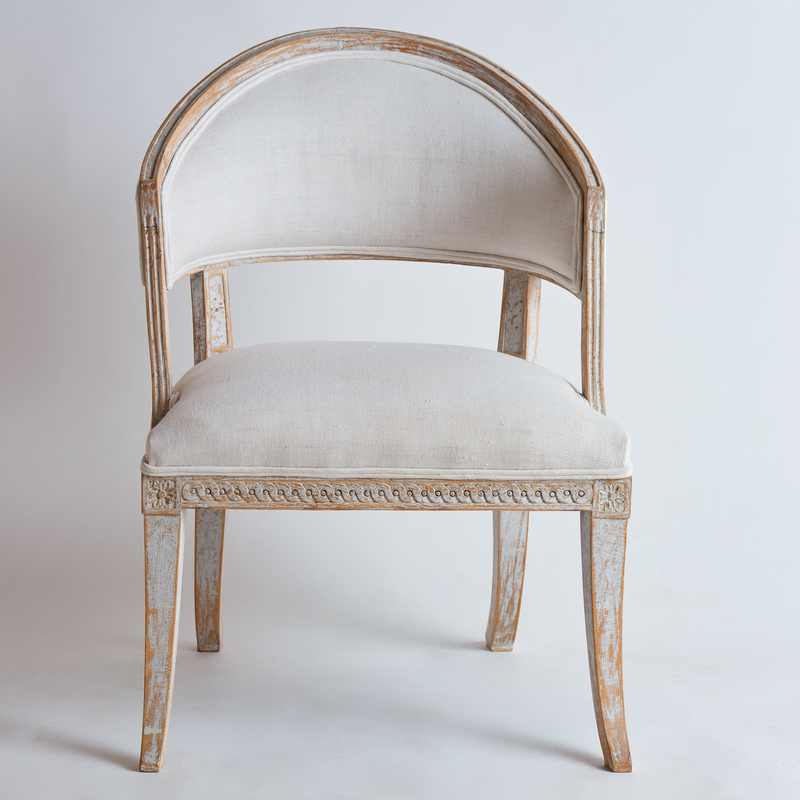 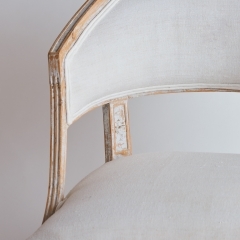 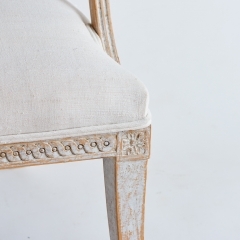 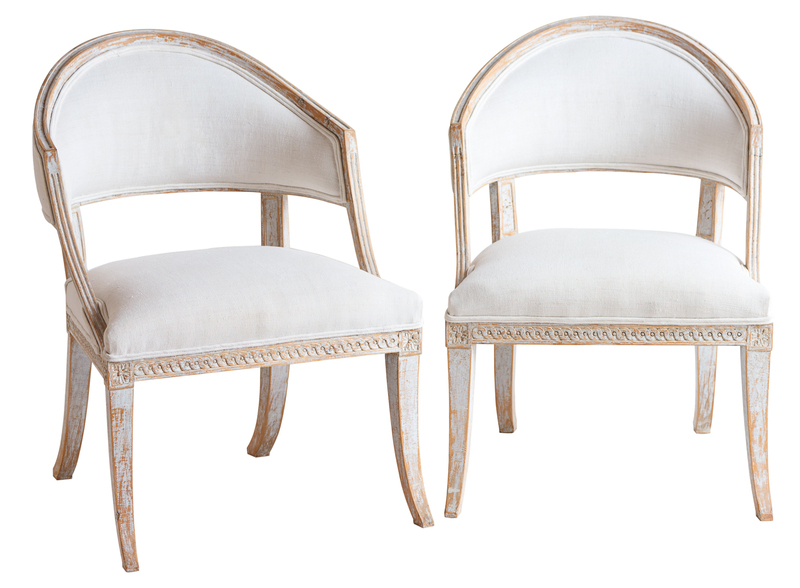 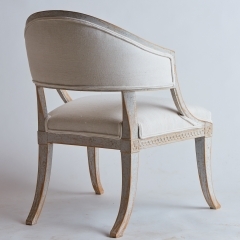 They are upholstered in a French linen fabric.